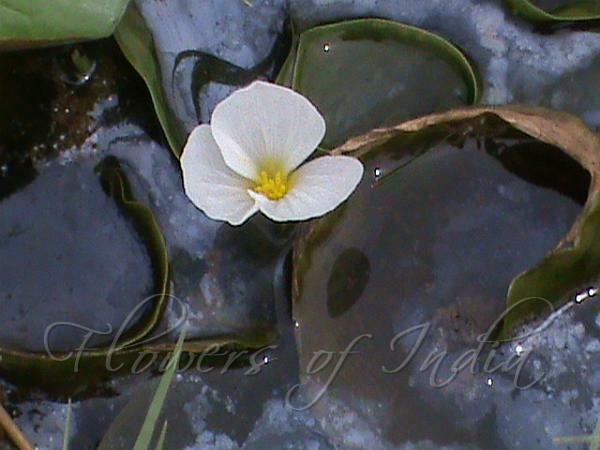 Common Frogbit is a small floating plant resembling a small water lily. It bears small, three-petalled white flowers. The floating leaves are kidney-shaped and grow in rosettes on the water surface, with the roots hanging down into the water column but not normally touching bottom. Frogbit is fast growing and spreads rapidly by stolons, surviving the winter as dormant turions which rest on the bottom, rising again to the surface in spring. 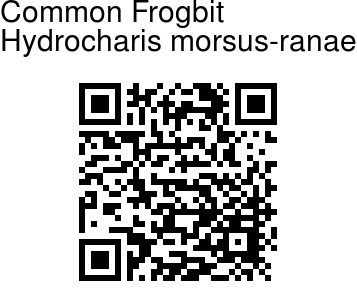 Frogbit is native to Europe and parts of Asia, but it was introduced to Canada in the 1930s and has become invasive in eastern Canada and the northeastern USA, particularly around the Great Lakes.